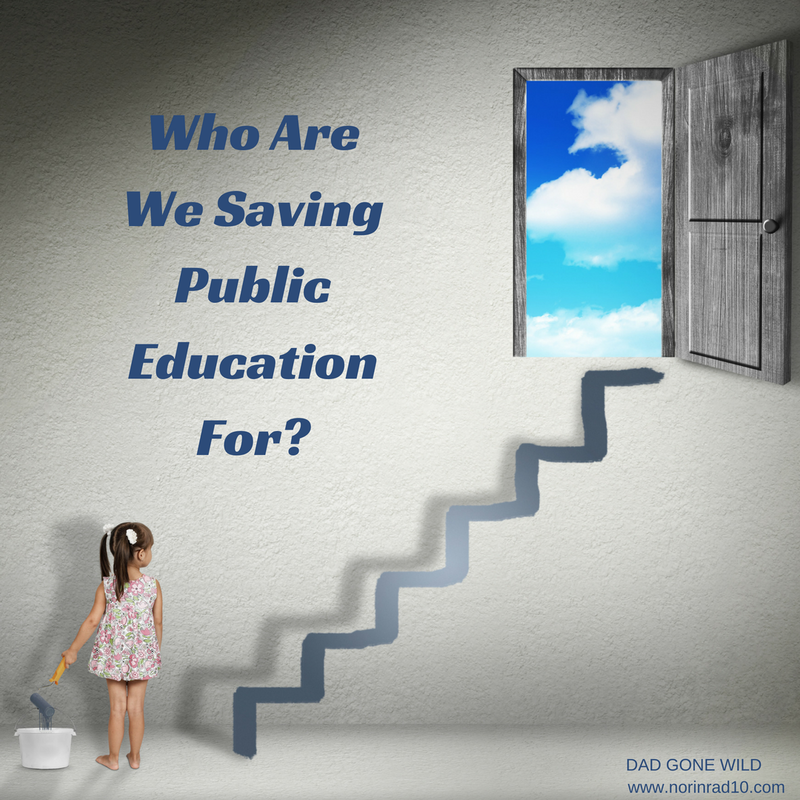 WHO ARE WE SAVING PUBLIC EDUCATION FOR? Lately I’ve been doing a lot of thinking about the charter school wars. Apparently I’m not alone in this pursuit. The Network for Public Education recently came out with their position. Two bloggers – Jersey Jazzman and Peter Greene – whom I have immense respect for, recently published pieces on the arguments against charter schools. Locally, blogger Vesia Hawkins wrote about the attacks on Nashville charter schools. As a reader of Dad Gone Wild commented recently, “It is a war.” But I’m not sure the teams are as defined as they appear to be or whom we are actually fighting for. It’s all begun to get a little muddy for me. There is no shortage of arguments against the proliferation of charter schools. There are, with apologies to my charter sector friends, some very bad actors seeking to privatize a public good, and I firmly believe public education is a public good. Unfortunately, there is a whole other side to the discussion that we are failing to give enough weight. I think that’s a grave mistake. I’ve previously mentioned how I’ve been gainfully unemployed this year and how this status has allowed me time to increase my participation in my kids’ school and work for an after school care program that serves both their elementary school and the middle school it feeds into. Both schools are high needs with a high population of kids who live in poverty and who are classified as English learners. The depth of challenges that these children face is unfathomable unless you hear them from their very own mouths and see them with your very own eyes. With the school year just wrapped up, here’s a new flash for you: a large portion of these kids are headed to charter schools next year. Students at both schools have been housed for years in buildings that are woefully inadequate. 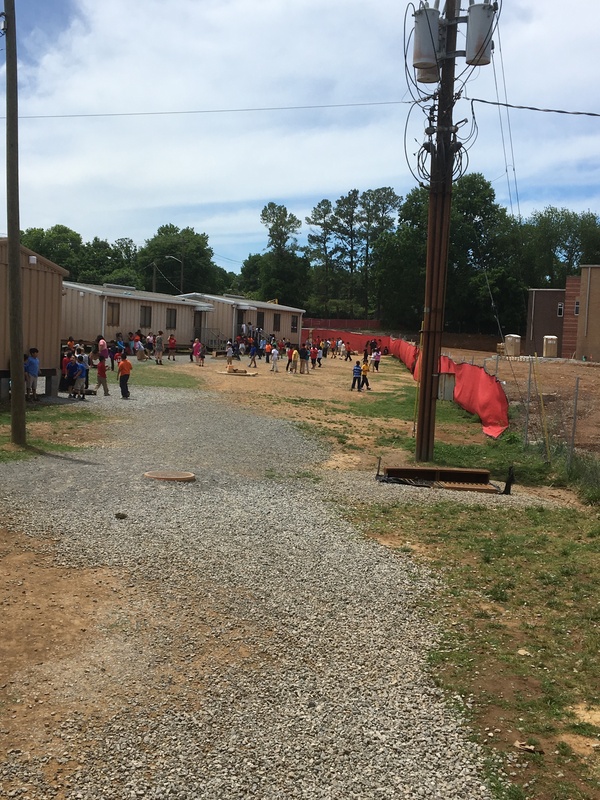 The elementary school utilized 24 portables withno covered walkways between them. 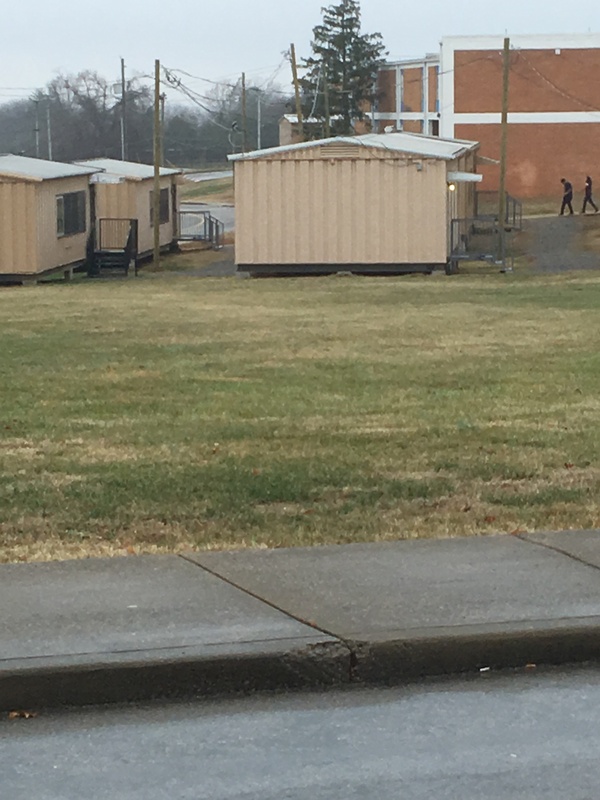 The middle school currently has around 10 portables, but will be adding more this coming year. The roof leaks in the elementary school and the wiring either continually trips breakers or shocks people. The middle school is getting serious renovations starting this year, and the elementary school will have a new school but has spent the last year basically on a construction site as the new was built on the same lot. The elementary school has no play facilities for older kids. They routinely play in a dusty or muddy area with tires. There used to be a shed adjacent to the play area that MNPS was slow to tear down until a kid cut his leg and required stitches. The middle school has suffered from mold infiltration for years. The middle school has seen high teacher turnover for the last several years. A professional development program that had been targeted at ensuring the elementary school was staffed by exceptional teachers and was valued by both teachers and school leaders was unceremoniously cut without review and replaced haphazardly with a less effective program provided by an outside consulting firm with previous ties to newly-arrived executive-level district leaders. MNPS has a program calledReading Clinics, and the elementary school has been one of the biggest beneficiaries of the program. The program started as a collaboration between Tennessee State University and MNPS, and it is one that recruits and coordinates community volunteers to provide one-on-one tutoring for kids reading at two levels below grade level. Students are tutored for 30 minutes, twice a week, during or after school. College students, volunteers, and high school students provide one-to-one tutoring under the direction and supervision of the Reading Clinic Director and program assistants. It has proven to be quite successful. MNPS has decided to cut funding for the Director position, and as a result, the administration of the program will be shifted back to the individual schools. We are talking about a service that affects over 1000 students and 800-plus volunteers district wide. Individual schools do not have the capacity to effectively administer this program on top of all their other responsibilities. So it appears that the Reading Clinics may be falling by the wayside soon. While the middle school undergoes renovation, 5th and 6th graders will be housed in the condemnable former elementary school building. This will cause two schools to be crammed on a site designed for one school. This move was made with no community, parental, or teacher input. A letter explaining the move was sent home to families, but was so poorly worded and exacerbated by language challenges that it led to many parents thinking their children were not graduating. 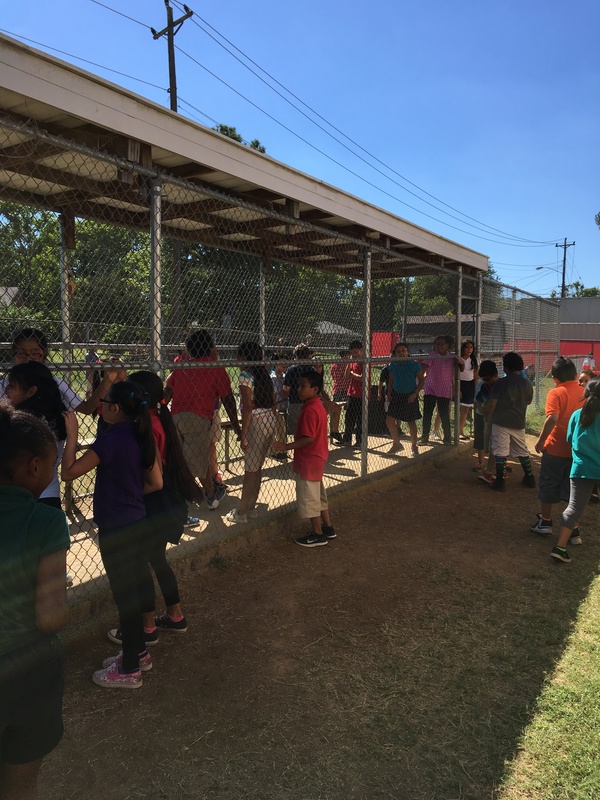 Seeing that 4th graders just spent the last year housed in portables and were now being told they are moving into the old building, it’s not hard to see how they arrived at that conclusion. At the graduation ceremony for the elementary school’s 4th graders, parents expected to celebrate a milestone for their children. Instead, at the end of the ceremony – which, by the way, was attended by several district representatives who were seated at the front of the room, glued to their phones for the whole ceremony – there was a 10-minute presentation that included the reading of the letter that was sent home, an explanation of next year’s bus schedules, and an invitation to come up and ask questions at the end of the ceremony. There was no warm welcome to middle school, no reaffirmation that they would be an integral part of the middle school next year, and no promise to do better at keeping families informed. Still shocked that families are choosing charter schools? It has less to do with slick expensive and misleading marketing plans than it does with actual experiences. But, you say, charter schools have much more inexperienced teachers. Charter schools drain funds from public schools. Charter schools have unethical land deals. There is no evidence that kids in charter schools have better outcomes. Now, if you’re a parent whose child just graduated from the aforementioned elementary school and are looking at your choices for next year, and if you have risked everything to give your child a better life, are any of those mentioned objections going resonate with you? If you and your spouse are already working two jobs apiece to give your kids a chance, are those concerns going to sway you? Let’s take it a step further. If you look around the school and you see families who have choices choosing to go elsewhere, are you going to want to keep your kids in the public school? Aren’t you not also going to wonder why, if those wealthier families are not choosing to take the public option, you should? After all, it’s been long-given advice that if you want to be successful, then you need to emulate what successful people do. If the people you perceive as successful are choosing to home school, go to a private school, or move, why would you not take the only alternative open to you, which are charter schools? If it’s me, I’m looking at what I’ve seen over the last year and comparing it to what the charter school is offering, and unfortunately in many cases it’s a clear answer. I’d probably read the objections raised and then say to myself, “What they say may be true, but I don’t know for sure because I haven’t tried it. I have tried the public school option, and I know its faults. So a charter school can’t be worse, right?” And based on my experience, I don’t know how you counter that argument in a way that would make them want to potentially risk their child’s future by staying in a public school that is not meeting their needs. As they say in the musical Hamilton, “I’m not throwing away my shot.” That’s the trap we as charter school opponents keep falling into. We keep making intellectual arguments while parents are making emotional decisions. I can’t say I disagree with that sentiment, but I ask when is that same mantra applied to wealthier parents who explore other options for their children? Whether a child’s parent chooses to opt out for a charter school, chooses to enroll the child in a private school, elects to homeschool, or chooses to enroll in a school outside of their zoned school, there is a cost to the system. If that child is not in a seat at their local school on counting day, the school loses money. Every parent who enrolls their child in a neighborhood school is considered a resource for that school. If the child goes elsewhere, the resources go elsewhere too. When wealthier parents choose a private school, or when poorer parents choose a charter school – the underlying problem is the same. And if wealthier parents don’t see that, things will never change, nor can we expect poorer families to man the front lines alone. In enrolling my children in a high needs school, I recognize that there are sacrifices that have to be made to ensure that everybody is getting a quality education. It is not a private school. My kid’s school is a high needs school with a high population of poor kids and English learners. These kids may be extremely bright, but due to socio-economic conditions, many are coming to school reading below grade level. As a result, the focus needs to be on getting the majority of those kids up to grade level. There is a much smaller group that requires advanced academics. No matter how much money is invested in schools, resources are still going to be limited, and I don’t see how it’s practical to demand that the school divert those limited resources away from serving the vast majority and instead provide curriculum that is only beneficial to a handful of children. Unfortunately, the state exacerbates the situation by utilizing standardized testing to measure schools and will now be assigning them letter grades. Grades that can possibly further dissuade parents from choosing that school. Public schools have no choice but to play the game. WHAT IF WEALTHIER PARENTS MADE DIFFERENT CHOICES? Now if more parents from my socio-economic group and higher were to enroll their children in the school, there would be a larger group of students possibly needing advanced academic instruction or any one of the other diverse academic opportunities that are offered at our wealthier schools. But as long as parents keep looking for alternatives, the scope of services available at high needs schools will continue to shrink because the students left behind are the ones who truly don’t have a choice. The barrier could be transportation, parental involvement, language, or any other number of obstacles, but the reality is that choice is only an option for those who have the ability to take advantage of that option, and it limits the choices of those who do not have that ability. Parents of wealthier children are applauded for astutely navigating the system, whereas poorer parents are painted as victims of the charter school canard, or they are just ignored. Consider this for a minute. You are sitting in a roomful of people in a stark, unadorned room. You start to notice that some are negotiating their way out of the room and into a more adorned room. You start to realize that as these people leave, the room gets a little dingier. The walls start to show wear and light bulbs begin to burn out with only every fifth one being replaced. You start to realize that you and the people around you are missing something that allows you to get to the other room and that is why you remain in the slowly deteriorating room. Occasionally you see people heading towards the other room with cans of paint, fancy lighting and television sets, but none of that makes it to your room. Then, someone comes in your room. They tell you they can’t let you go to the other nicer room, but they can let you go to another room where you may or may not eventually get to go to the fancy room, or you can stay in the room you’re in where more light bulbs continue to burn out without being replaced and the paint continues to fade and hope that eventually some maintenence will be done to your room. What would your choice be? That example may be a little exaggerated, but it is still a reality for many poor families and families of color. All families that choose charter schools are not naive, conned, or seeking to destroy public education. They are just like wealthier parents who are trying to get an opportunity for a better life for their kids and sometimes, unfortunately, that means rolling the dice and hoping to beat the odds. And by not focusing with laser-like precision on improving our neighborhood schools, we are in essence pushing them up to the craps table. Since not all middle class families are enrolling their kids in public schools and poorer families are also looking for alternatives, whom are we saving public education for? I don’t know the answer to that, but the cynic in me is starting to suspect that it’s to allow a handful of middle class parents to preserve what they remember as an idyllic experience from their youth and wish to impart that experience to their children. 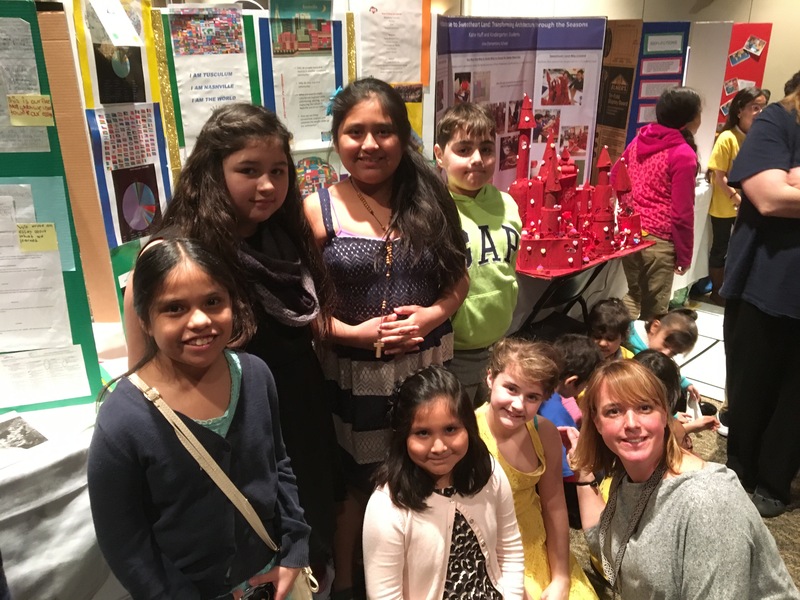 School board member Amy Frogge recently wrote a Facebook post that described her children’s public school experience in Nashville. My children have taken many educational field trips over the years. My son has traveled to Chattanooga to visit the Challenger Space Center and the Creative Discovery Museum. My daughter has visited the Georgia Aquarium in Atlanta, Discovery Park of America in Union City, TN, and Wonderworks in Pigeon Forge, TN. This year, she is heading to Six Flags for a second time with her middle school band. (Last year, she played at Six Flags over Atlanta, and this year, she’ll play at Six Flags over St. Louis.) As part of this year’s band trip, she’ll also tour The Gateway Arch and Museum of Westward expansion. What Frogge wrote is true for her children, who attend public schools in Nashville, and it’s how all our public schools should be. It’s beautiful, but unfortunately for the majority of children who aren’t enrolled in a school with a poverty rate under 50%, it’s not their experience. The defense of public education reminds me of the recent resurgence in people who prefer their musical experience via vinyl records. It is undeniable that listening to music via vinyl provides a deeper, richer, more engaging experience. However, it does require a certain level of financial investment, and since you have to turn a record over every 20 minutes it requires constant engagement. And for many, that level of investment and engagement is not desirable. Their ears are not attuned to the difference between vinyl and a streaming system. All they’ve experienced are scratchy records filled with pops. The vinyl experience appears cumbersome and outdated despite the arguments from audiophiles. Some of our schools in Nashville are like the ones Frogge’s children attend – like a good vinyl record – but not all are. And therein lies the problem. We seem to lack the investment and engagement to make all schools high quality. I suspect many of those who support traditional public schools attended better than average ones growing up, and I suspect among those who champion charter schools, you’ll find a large cadre of people who attended below average schools. How do you convince those people that things are going to be different when you produce no evidence and rely only on words? How do you convince them that things will be different for their children when all they see is a continuation of the neglect their schools received growing up? Here’s a math formula for you: If the amount of time working on improving a school and interacting with its community is less than the amount of time spent fighting against charter schools, then our public education system is doomed. Sorry to break it to you, but just because you rid the land of charter schools does not mean that suddenly all public schools will become exceptional or that poor families will suddenly accept a less than exceptional school. Maybe we are spending too much time on fighting against things rather than fighting for things – things like equitable funding for all schools, extra resources and staff for our neediest schools, extracurricular programs at all schools, increasing parental engagement in a meaningful manner, and on and on. It’s really quite simple. It’s like the old argument that if you want to champion marriage, stay married. You want to champion public education, make good schools. Now let’s make sure I say this here: making good schools does not mean not talking about their faults. You can’t fix a problem if you don’t recognize a problem, and trust me, you are seldom the only one to spot a problem. Attempting to ignore a problem only signifies not correcting a problem. It’s time that we stop acting like charter schools are the problem and start treating them for what they are, a symptom. We also need to ask ourselves, if each of us isn’t willing to invest in our zoned schools, who are we saving public education for? As my friend Amy recently said, “We have to openly discuss this stuff without getting mad at everyone. It’s complicated!” and vital. Don’t you live in Bellevue (TN)? If they want to emulate successful people, they should not have childrout of wedlock, when they’re very young, or that they can’t afford. That would make the school experience for all students much better and probably cut down on education costs. Are you saying wealthier people don’t have children out of wedlock? Wealthier people have fewer out-of-wedlock births than lower income people. Are you not aware of this fact? Wow. I’m not sure who “they” are in your example, but the children and their parents aren’t the issue here. Your judgment of “them” indicates your ignorance (and prejudice). Over 70% of MNPS students qualify for free or reduced lunch. A high percent also come from single parent families, but I can’t find a statistic for this right now. There is a link between poverty, single parent families and school performance. If prospective parents of MNPS students could exhibit greater responsibility in their child-bearing, MNPS might not find itself with so many students being raised in chaotic, impoverished, single parent households, and most likely facing years of poor academic performance. School can be very challenging, and ideally students should have as few obstacles to their academic success as possible. Parents play a significant role in setting their children up for success or failure in school. According to an article in Harvard Magazine, “… 94 percent of births to college-educated women today occur within marriage (a rate virtually unchanged from a generation ago), whereas the real change has taken place at the bottom of the socioeconomic ladder. In 1960 it didn’t matter whether you were rich or poor, college-educated or a high-school dropout—almost all American women waited until they were married to have kids. Now 57 percent of women with high-school degrees or less education are unmarried when they bear their first child. MNPS Next focus groups may be a great opportunity to have the discussion about fighting for instead of against. Also dont miss this weekends Fatherhood Festival and Preds Streethockey clinic. And would only add God bless our efforts! Thomas Weber and to add insult to injury, the post on a public forum about there not being any good public middle schools in Bellevue came from a Valor parent. JT Moore and Cockrill families hear that stuff much more than Bellevue does from charter families. It seems to me that charters communities can dish it out but can’t take it.That kind of behavior really makes it hard to feel sorry for poor, marginalized charter families. Add to it the fact that their schools are the pet projects of the Beacon Center and NFocus oligarchy, the governor, the past mayor and the state board really makes it impossible to see them as victims. I’m sure there are valid instances on both sides but I just don’t see a way forward that does involve cooperation and compromise in some form. There will always be certain aspects that can never be accepted but if you rid the earth of charter schools what is the solution? Again..I don’t have a problem with parents making a choice for their children, I have a huge problem with the colonialist way charters were imposed on the system and the tactics of charter communities and boards use their school choice to disparage schools they have left. Cooperation and collaboration won’t exist if there’s no trust. ..and I for one don’t trust the motives of the patrons who never supported public education to begin with. The tactics they have used to politically strong-arm charters into the system and Koch Bros our school board elections magnifies that distrust. I think a moratorium on new charters, having every charter board comprised of families in that school and requiring each charter board to include one school board member would be a start. But what’s the end and what happens to those kids in schools we’re needs are not getting met. What I believe to be the most sinister motive behind the reform movement is the assertion that school struggles aren’t about funding. I think this charter movement is one big red herring to distract us from the fact that our state legislators do not want to prioritize funding education. Any school can have good results if they have a board full of benefactors and the ability to screen students. Is that what we want for the future of public education? I could buy into that model if, like private schools, those boards were comprised of a majority of the school’s parents. I found the past administration to be incredibly patronizing to parents. I cannot fault any parent who hit a wall with a valid concern and looked elsewhere. That set the stage for this charter growth. There’s plenty of blame to go around. However, MNPS has never been given the funding it needs from the state to meet the demands and stresses that are put upon it. It has never been given the moral support from the city that met segregation by opening a private school on every street corner. I am of the opinion that those two deeply rooted problems are the reasons why your school doesn’t have what it needs. Charters, as they have been rolled out here, are an experiment on other people’s children by wealthy people who never respected public education. Don’t disagree. But the landscape is here and what happens if we get rid of all charters? I have never said I want to get rid of current charters. I want to stop the expansion. I think there has to be a moratorium on growth. Peace comes through relationships, so require that all charter boards include one board member. Require that parents staff the boards and get the oligarchs out. Nothng unites like a common enemy, so maybe charters and traditions schools take on the legislature. What resonates most strongly with me from your above post is “the cynic in me is starting to suspect that it’s to allow a handful of middle class parents to preserve what they remember as an idyllic experience from their youth and wish to impart that experience to their children.” I have been thinking this same thing for a while. Rather than making plan after plan to study how best to take meaningful action in our schools, what I would really love to see each member of the school board and MNPS leadership do is actually shadow a student for a day – starting from catching the bus – at two or three different kinds of schools, including a diverse charter school like Valor. 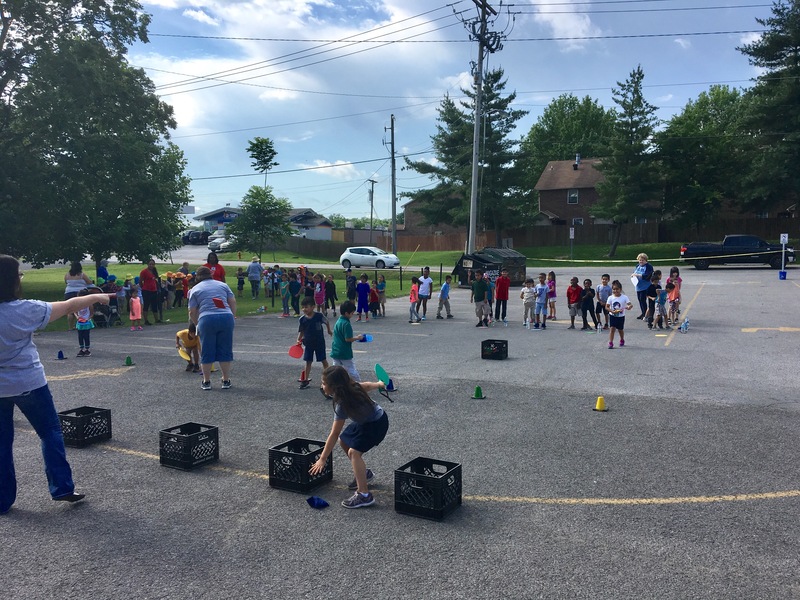 Actually taking the time to see first-hand from a student’s perspective what the school experience is, and where the barriers to learning are is a powerful experience as T.C. often shares. I’d say do it once a month because these kids lives are so fluid. Yesterday we took my son’s best friend, a Burmese refugee child, to the zoo and he was on great behavior. One could draw the conclusion that everything was good. A month ago he was not so well behaved and two weeks ago their were some issues at school. Nothing but time can give you a clear picture. Someone made the comment to me the other day, “Just think how much more you’ll know if you get on the school board.” I replied, “Probably about the same because I spend so much time talking to people in the district at all level.” It’d be nice if everybody spent a little more time talking to the people actually doing the work. They are all willing, the question is are you? I’m willing to visit schools, and actively thinking about ways to address challenges at our specific school. Are you saying all the board members and MNPS leadership are willing to spend the time at different schools as observers? I’m saying all should be. I agree. I really like how the shadowastudent.org model provides a clear process for taking action and creating positive change. I hope the leadership is also frequently listening to teachers talk about the challenges they’re facing in class each day. Is there a regular forum for that kind of communication? Reading all of this makes it so clear to me how different all of this looks based upon your cluster. I would caution against generalizations about the families and schools in my cluster (Hillwood) based upon your experience. To assume that those of us trying to build and support our zoned schools are delusional Stepford wives who think we are in Mayberry is unfair and inaccurate. To dismiss our concerns and resentment for the imposed charter expansion as out of touch, privileged and elitist misses a big part of the source of dissension. While our school communities may have a bigger bandwidth of families who can fundraiser and volunteer in the schools, we are hardly Ensworth, or Glendale or even JT Moore. Churches in Bellevue are serving as overflow shelters for homeless teens. Hwy 70S is full of Section 8 housing. Impoverished kids from all over the city are riding busses to our schools. Our buildings are dilapidated and books and technology are in short supply. When Amy (or any of us)posts about positives in our schools, it isn’t to trigger resentment in higher needs schools. Those posts happen in defiance of a community that blasts insults at OUR schools at every turn. About once a week, some blowhard in Hip Bellevue(or the Y or at Brueggers or at church) announces that they are so blessed that their child is at XYZ private/magnet/charter and doesn’t have to attend our school. We hear that, teachers hear that and our kids hear it. What’s more, the derision is not in line with our experiences. We are sick of it. We don’t deceive ourselves that there aren’t problems, but we are trying to fix things from WITHIN the schools. Again, I am having a really hard time seeing the charter families as having cornered the market on feeling marginalized. From my experience in my cluster, zoned families who are working really hard to support some outstanding teachers and foster community in a diverse school population are dismissed and condescended to constantly..not by the school system but by the private and charter families in our community that make public statements about there “not being any good schools in our zone.” When we try to correct the record with positives, we are told we are elitists and clueless. That does not foster trust or peace within the system. Is there really a lot of Section 8 housing along Hwy 70 South in Bellevue? Forest Park is all Section 8, Iroquois is..there are units in some of the apartments along Old Hickory(can’t remember the name).. If you are wanting to build unity and respect within the system, dismissing those who believe that the only lasting, committed improvement of schools is going to come from people within the schools, as too bourgeoisie to isn’t going to build bridges. . I have seen that sentiment.come from Project Renaissance and now here. It is really disappointing. Until his January, I tried to find away to relate to both camps. However, the tactics used in the campaign and the ugliness displayed during the Hillwood high school meetings by those outside the system polarized my view. I have been dismissed with condescension and anger by MNPS’s pro-charter school board member. Maybe you will have better luck than I did, but I know who my gut is telling me to trust. I know what my eyes see. Then again, I may just be middle class Stepford Wife from Bellevue, what do I know. I am not dismissing anyone and I am sorry you feel that I am. You can not deny though that wealthier parents have been opting out of the system for years. Now that poorer people also have choices, I think who we are saving public education for is a legitimate question. I am sorry if you have treated rudely by charter school folks. I can’t do anything about that. I do find our ant-charter board members behavior of late abhorrent. To not attend a meeting bc a lot of people you disagree with are speaking is not acceptable nor is limiting parents who require translators to two minutes. The courage it takes for those parents to speak should be rewarded not punished. Here’s my question to you again, if the land is rid of charters what is the plan to meet those children attending under resourced schools. I should have been more precise in my language. I didn’t dislike the entire post. I do take exception to characterizing those that have concerns about the origins and means of imposing charters in the system as out of touch middle class families chasing a past ideal. I laud your attempt to show different perspectives in this blog. I was just adding mine. Peace out. I was thinking about this post earlier today. I do have a problem with dismissing my experience hearing charter families and advocates disparaging zoned schools as being “treated rudely by charter parents..can’t do anything about that.” If you want to understand why zoned families line up behind school board members who challenge the charter invasion, then you need to consider the experience that parents in the zoned schools have as their schools are constantly disparaged and attacked by charter and private schools whose existence depends upon convincing parents that their schools are substandard. The context informs the conflict.